Harare lawyer Francis Chirimuuta has been found guilty of looting over $146 000 from the estate of the late fellow lawyer George Charles Chikumbirike. 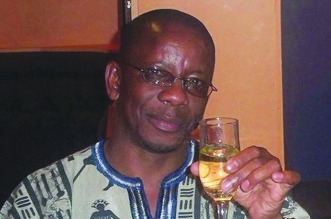 Chirimuuta was convicted by the Law Society of Zimbabwe after the council’s seating on January 22 following a complaint filed by lawyer Charles Nyika. He was accused of paying himself curatorship fees before paying the employees terminal benefits from money raised after liquidating the estate. Further to that he even reportedly sold assets of Chikumbirike’s firm to himself after understating the value of the assets. LSZ in a letter dated February 7 said Chirimuuta had embarrassed the legal profession and violated sections of the Legal Practitioners Act. “That you failed to disclose that you sold to yourself some of the firm’s assets. You participated in the sale of the firm’s assets and counter offered highly unrealistic prices which resulted in the overpricing of assets,” part of the letter read. In its findings, the LSZ said evidence showed that Chirimuuta had “looted funds” from the estate. “Council further noted you helped yourself to the funds of the deceased before the Master approved them. The Master expressed outrage to the extent of reporting the matter to the police. This is a prima facie case of dishonourable and blameworthy misconduct. The profession has been soiled and its name had been put into disrepute,” the LSZ wrote. The LSZ has since instructed its secretary Edward Mapara to closely monitor the criminal case against Chirimuuta and also work with the Master to ensure that the matter was dealt with before council could make its final decision.